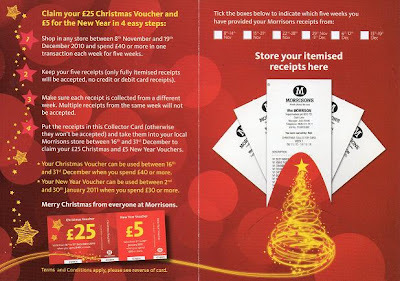 * Your Christmas Voucher can be used between 16th and 31st December when you spend £40 or more. Your New Year Voucher can be used between 2nd and 30IN January 2011 when you spend £30 or more. Merry Christmas from everyone at Morrisons.